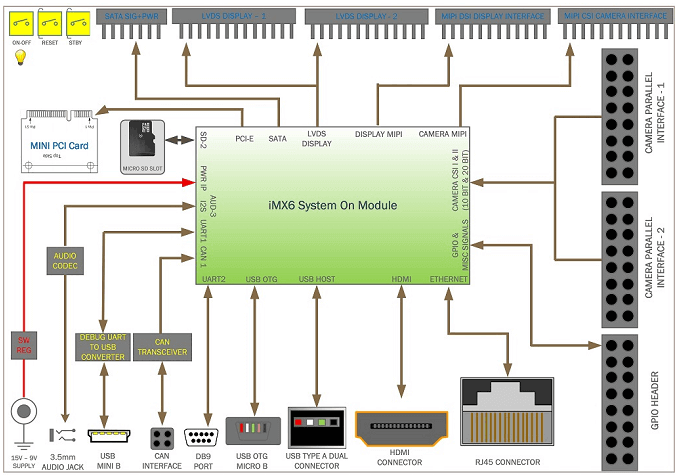 AnkaaPLUS, eSOMiMX6PLUS development kit is a dual board solution that features eSOMiMX6PLUS - Computer/System-on-Module & carrier board. 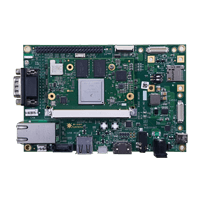 eSOMiMX6PLUS is based on QuadPlus/DualPLus/Quad/Dual/DualLite/Solo Core ARM® Cortex™-A9 processor running up to 1.2 GHz. It has DDR3L SDRAM configurable up to 4GB and eMMC flash with capacity configurable up to 64GB. The eSOMiMX6PLUS module also has the Wireless LAN and Bluetooth module. This i.MX6 Quad Plus development kit comes with HDMI to HDMI Cable, USB to serial port cable, 9V Power Supply and 7 inch LCD with Capacitive touch. This iMX6 QuadPlus/DualPLus/Quad/Dual/DualLite/Solo board is used in the various applications like Automation, Medical Imaging, etc. ACC-iMX6-MI1335CAM is a 13MP Camera board for e-con's AnkaaPLUS i.MX6 RDK. This AR1335 sensor based Autofocus Camera provides 4-lane MIPI CSI-2 interface. ACC-iMX6-CUMI0330CAM is a 3.4 MP Custom Lens Low Light USB Camera Board for e-con’s Ankaa i.MX6 RDK. This AR0330 sensor based Camera provides MIPI-CSI-2 4 lane interface. This is a custom lens Camera board with S-mount interchangeable lens holder. ACC-iMX6-CUMI1820CAM is a 13MP Camera board for e-con’s Ankaa i.MX6 RDK. This AR1820HS sensor based fixed focus Camera provides MIPI-CSI-2 interface to perform 1080p@30fps streaming. This is a custom lens Camera board with S-Mount lens holder. 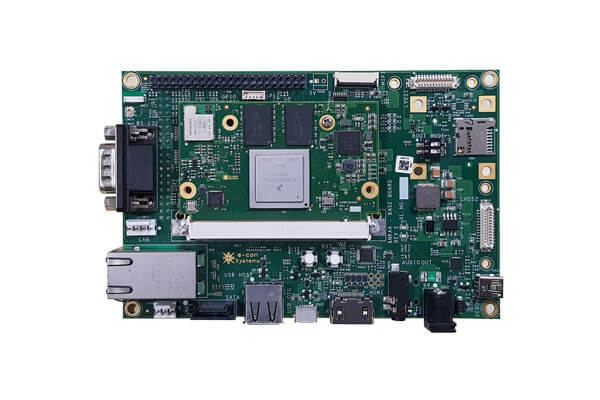 ACC-iMX6-CUMI1335CAM is a 13MP Camera board for e-con's AnkaaPLUS i.MX6 RDK. This AR1335 sensor based fixed focus Camera provides MIPI-CSI-2 interface to perform 1080p@60fps streaming. This is a custom lens Camera board with S-Mount lens holder.